Our artisan Pinot Noir was handcrafted from our estate R. Buoncristiani Vineyard, in Russian River Valley. It is a very food friendly, medium-bodied Pinot Noir. With hues of a great Burgundy, our winemaking style for this wine resulted in handcrafted, Old World flavors of plums and ripe strawberries, with a bit of cocoa powder on the more complex finish. 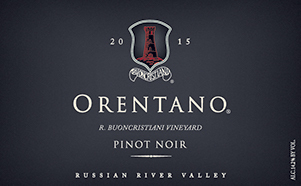 This Pinot Noir will work very well with all of your favorite medium-flavored dishes. 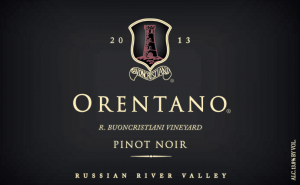 This artisan Pinot Noir comes from our estate R. Buoncristiani Vineyard located in the Russian River Valley. It has beautiful translucent, garnet color, with rich plum and blueberry fruit on the nose. On the palate, you get hints of vanilla and truffle earthiness and a silky smooth finish. We expect this wine to age well, due to the full-bodied structure and great mouthfeel. Enjoy this wine with roast chicken, rack of lamb, roast pork, or poultry sausages.